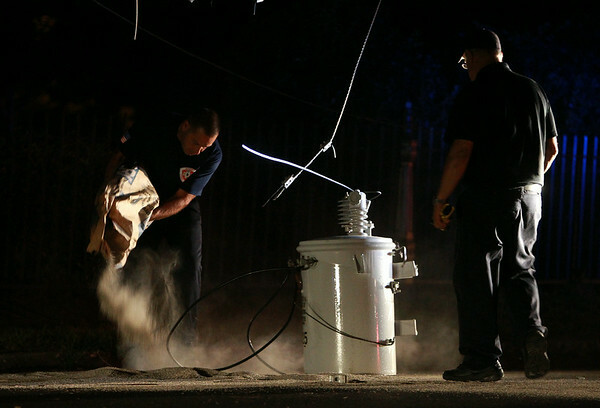 A Salem firefighter throws down some moisture absorbent to eliminate a liquid running out of a downed transformer after an errant pickup truck careened through the fence of Greenlawn Cemetery, taking out a telephone pole and transformer while also flipping over. DAVID LE/Staff photo. 8/7/14.